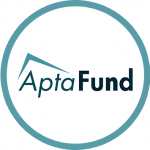 Student Athletic Headquarters Academy in Albuquerque, NM, recently chose AptaFund for its School Financial Accounting. The New Mexico school will get to enjoy the efficiency and effectiveness of AptaFund, the School Fund Accounting and Business Management software. Harris School Solutions looks forward to continuing to train, support, and work with the school on its Enterprise Resource Planning.